To get your PCB designs manufactured you need to send the pcb manufacturer a bunch of files. These files are called Gerber Files. To generate them is easy. When you are done with your design open up your PCB in PCBNew. From the file menu click on “PLOT”. The Plot window is where you will generate the Gerber files from. Ensure that the Plot format is set to Gerber. It’s useful to set the output directory to a sub-folder. This will separate the Gerber Files from your design files. 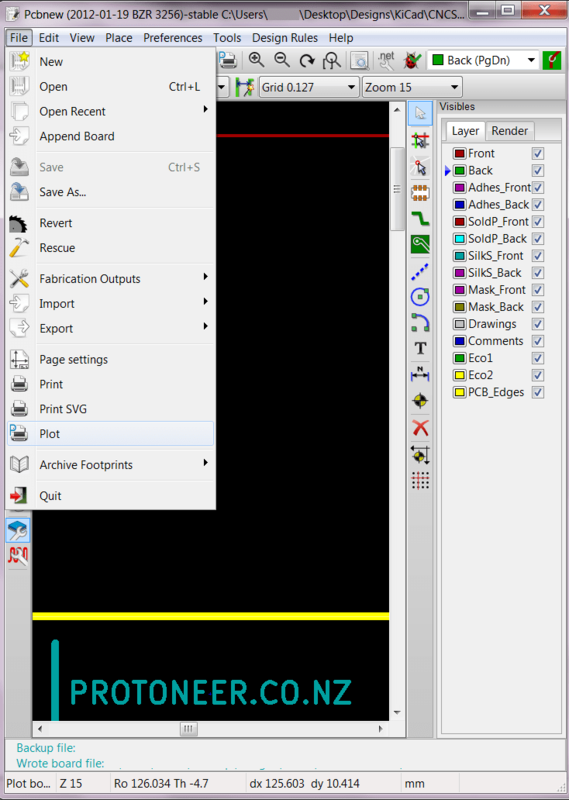 Make sure that PCB_Edges layer is selected. DRL File – EXCELLON drill file. Usually two files. One for through plated holes and non plated. The Drill Files are generated separate. 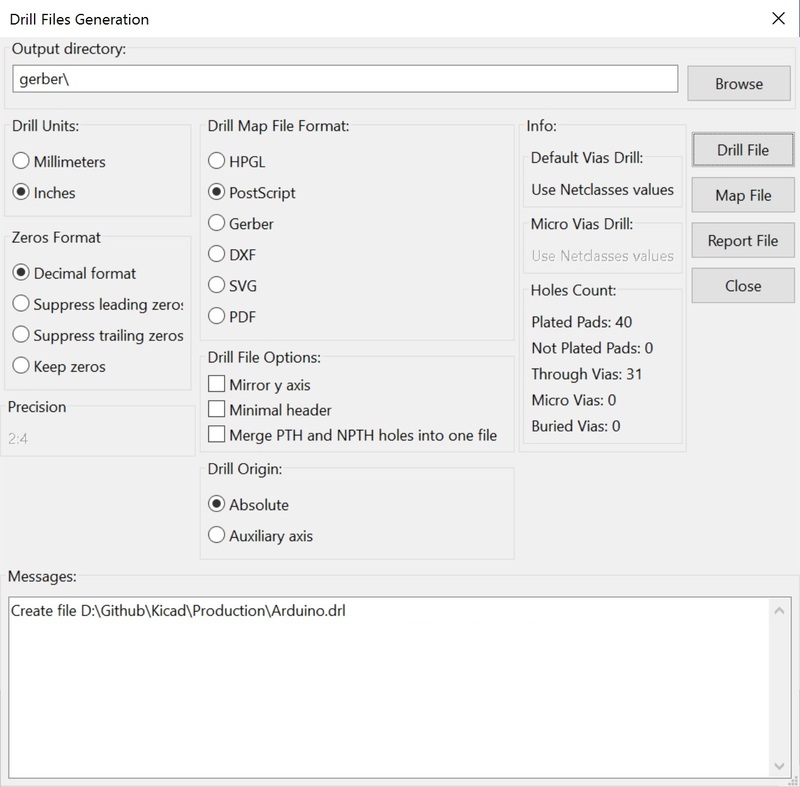 Click on the “Generate Drill Fill” in the above window. Make sure the output directory is correct and then click on “Drill File” to generate the DRL files. Once the files have been generated its wise to open them with a Gerber File viewer to make sure they are correct before sending them to the manufacturer. KiCad has a built-in Gerber viewer by the way.